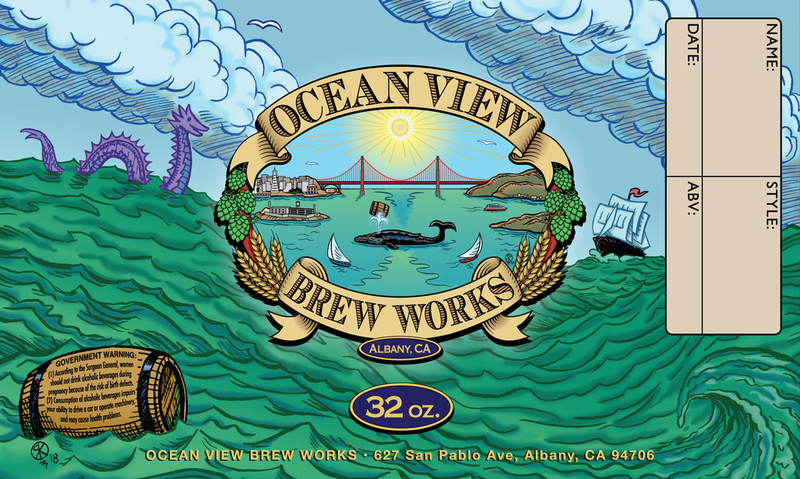 In 2017 I was fortunate to meet the owners of the yet-to-be-opened Ocean View Brew Works in Albany, CA, who told me they would be needing a logo. We had a couple of beers and discussed what they wanted, and I went home and started sketching. 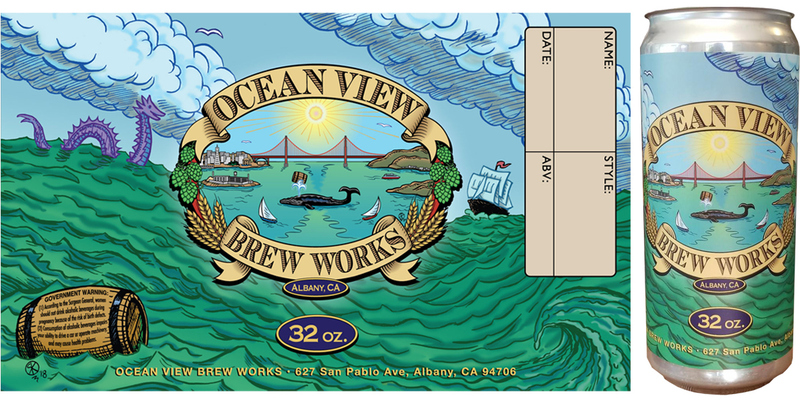 The result is this colorful, classic looking beer label, showing the only view of the Pacific Ocean possible from Albany — out the Golden Gate! 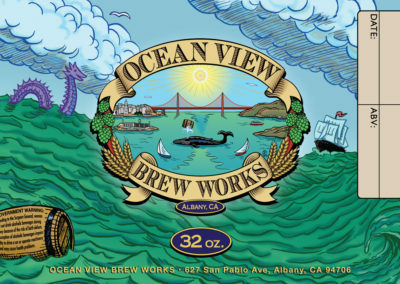 To bring a little more of the ocean closer to our view, I asked my friend Humphrey the Humpback Whale to come back to the bay with something good to drink and here he is with a barrel of Ocean View beer! There are also six famous historic buildings visible here, can you find them all? 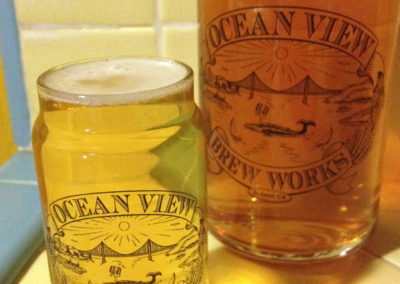 More recently, they bought a canning machine to fill 32-oz. “Crowler” cans people can take home with them, and cans need labels. 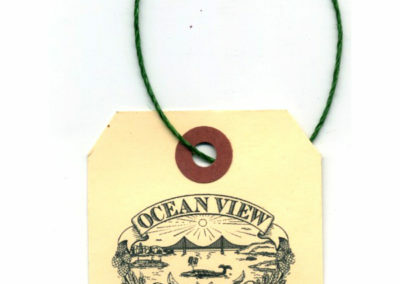 Their only artistic requirement was that it include waves and the logo, though the label also needed space to write in certain information when each can is filled and a standard government warning. 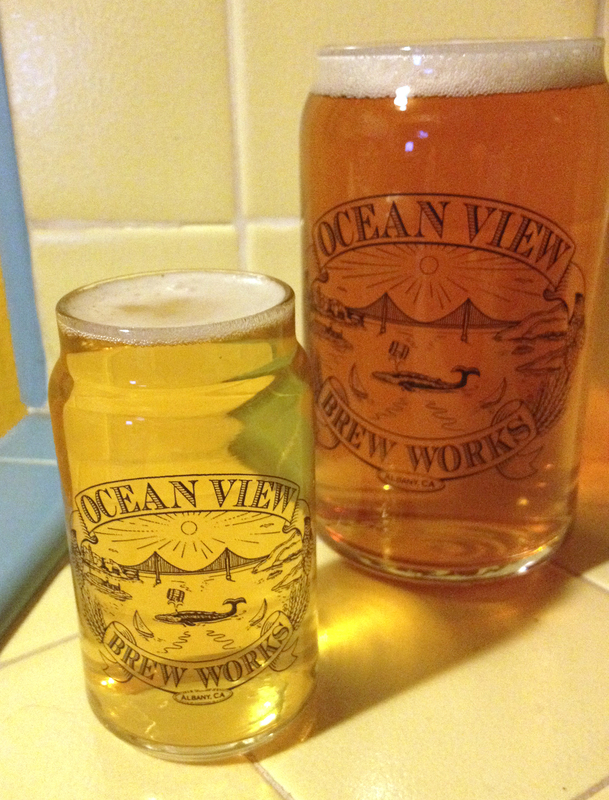 I’m pleased with the result, and fortunately the brewery and their customers are too! Now every can comes with a free sea serpent. See the gallery below for more pictures!